Today I would like to discuss sales training & sales trainers. Trainers are great people because they share their knowledge and go all the way to give from their experiences and know how to others. In other words trainers are people who try to help other people by further developing their skills and know how to help them achieve better results in whatever it is they specialize in. Our own sales trainer is Jihad Abou Zeid, who is very well known in the field of sales training since 2000. He started his career as a direct salesman and quickly became a team leader and a sales manager. He then joined DDI as a Sales Director, later became a partner, and then started another company Realty Lebanon, and by 2015 established Fikr Training as a separate entity for training and business consultancy. Jihad Abou Zeid, or JAZ as he is fondly called by his colleagues and friends, found his true passion in sharing his knowledge and training thousands of sales people for the past 16 years. Jihad trained countless of sales people in several countries in the Middle East & North Africa, and has been running training seminars on a monthly basis for private companies, one to one coaching and public seminars. His main success relies on his deep understanding of the sales process, clients behavior and his in depth knowledge of human behavior, all has been learned from direct sales experience as his natural abilities to lead and manage peoples skills, as well as effective communication skills. Many people trained by Jihad attest to the fact that he has changed their life completely and helped them to achieve success in business and personal achievements. Jihad Abou Zeid, sales trainer, NLP Master Practitioner and NLP Trainer, has a Masters degree in Law, yet he chose his career in sales and have written many books about sales, human behavior, self control, positive thinking and the Art of Dealing with People. What is really outstanding about Jihad is that after 16 years, he is still, and always will be, a star salesman. He believes in teaching only what he can actually do and achieve every single day. 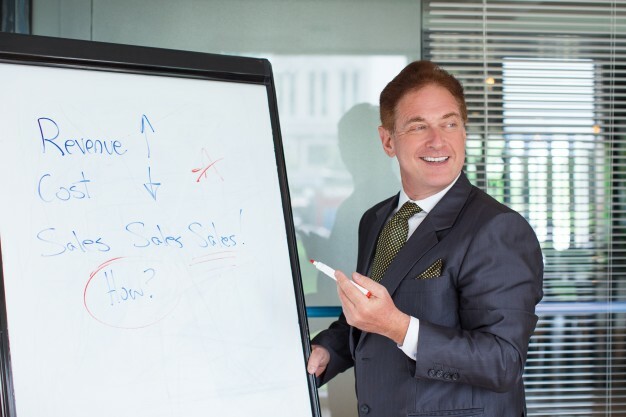 He still meets clients and closes deals every single day doing exactly what he trains and following the exact same principles that he teaches in his seminars. If you cannot drive, you cannot teach driving. We don’t teach theory, We practice what we preach. Fikr Training sales programs and seminars are not the usual normal sales materials, we go much further into more detail and more practice of real life scenarios. We don’t say ‘close the deal’, we actually show our participants HOW to CLOSE the DEAL. We don’t say ‘get an appointment’ we hold our trainees by the hand and spell out exactly WHAT to SAY to get that appointment, and HOW to SAY it. Market conditions change, clients expectations change. As we are in the business of sales, we evolve with the markets and continue to develop new sales programs according to our own experiences and the market trends that we deal with in our every day sales experience. No sales talk is ever complete without mentioning NLP, which is an integral part of communications. In our sales training and sales seminars, we train about the use of NLP in business and how to use NLP to communicate more effectively and to help you in closing more deals and building positive relationships with your clients and colleagues. For more information about our sales training seminars and NLP seminars, check our main website Fikr Training By Jihad ABou Zeid.